When Peggy Slawson started providing In-Home Support Services in 2014 there was a concern if she would have enough hours to make her a full-time team member. She quickly had as many hours as she wanted to work because of her outstanding job performance. At each person’s support team meeting, the question is always asked of them, “do you want to continue receiving services from Peggy or would you prefer to have someone else?” The answer is always the same, they all want services from Peggy! Peggy provides direct support to ten individuals varying in age from 8-61. Peggy is always positive and has a great ability for ensuring person-centered services with full community inclusion. Some days can be challenging as a Direct Support Professional. Not only does Peggy work well with the individuals, but also with their families. She handles difficult situations calmly and professionally. She is a problem solver and truly wants the best outcome for the individuals. Peggy’s schedule changes daily to meet the needs of the people she supports. Peggy has a passion for her job and she makes sacrifices for the individuals so they can live life to the fullest. In a profession where we sometimes have challenging situations e.g. staff shortages, changing schedules, regulations, and funding issues. Peggy overcomes the challenges and is outstanding because of her positive attitude and person-centered thinking! 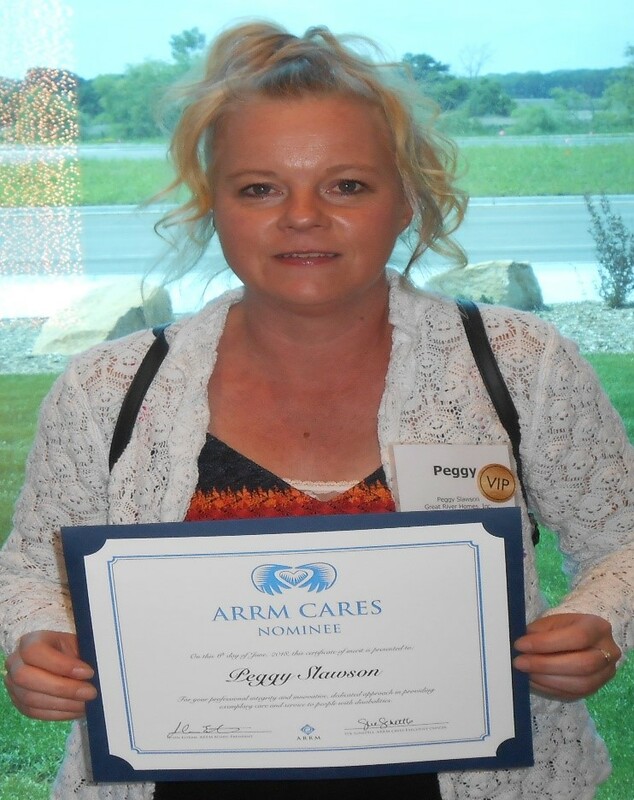 Peggy Slawson of Plainview is pictured above with an ARRM Cares Award she received for her outstanding direct support of people with disabilities as an employee of Great River Homes, Inc.
Darcy has lived in Lake City, MN all of her life. She went to school at Lincoln High School and began working after graduation. Darcy chose to live independently in her own apartment in Lake City soon after beginning to work. Darcy was encouraged by her family to have choice and control over her life. 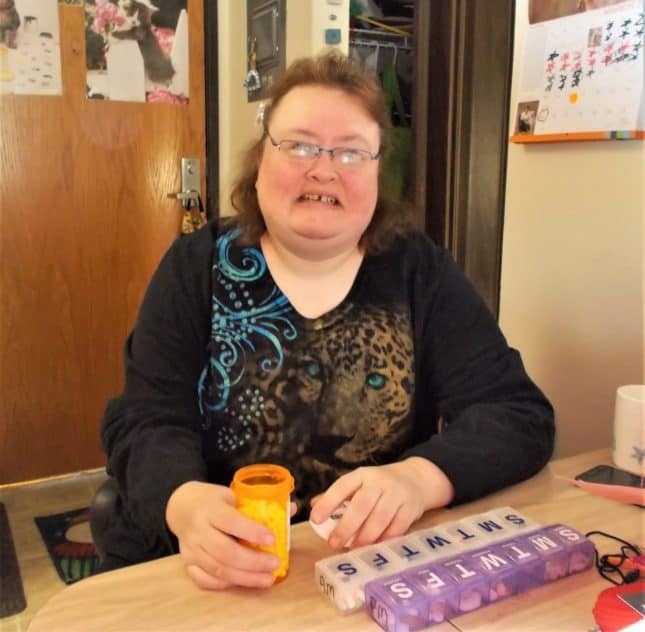 She was supported in her decisions to work and live independently by her family, support staff of Great River Homes, Inc. and staff at her worksite in Red Wing. Everyone uses supports to make decisions and individuals living with intellectual and developmental disabilities need supports to make choices in their lives just like everyone else. Darcy and the people who support her help her make both large and small decisions about her life. Darcy chose to take care of her health by learning about her conditions and the medications that help her manage her health. This was a large decision for Darcy who now is able to package her daily medications and take them in the correct doses at the correct time. 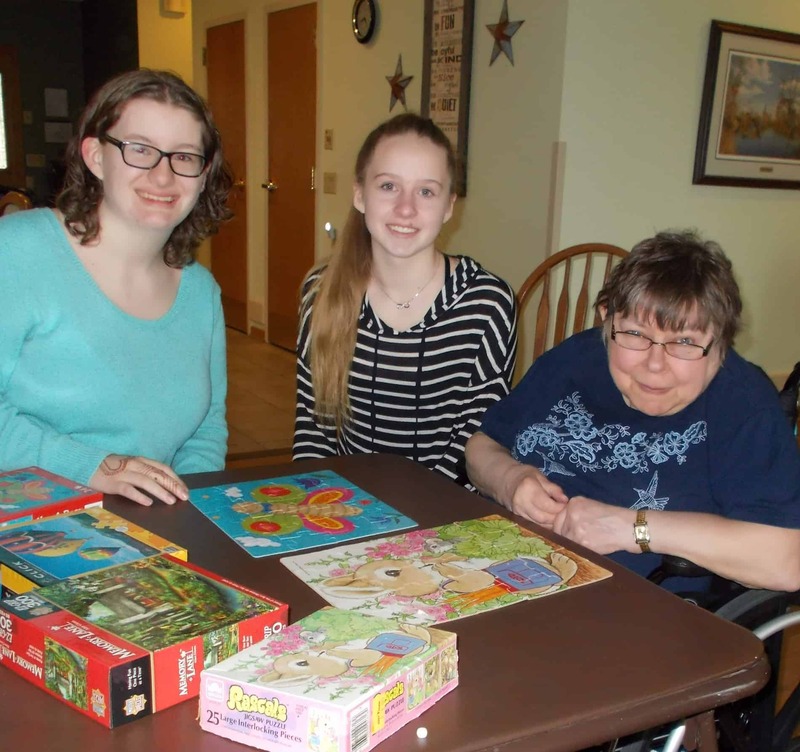 Darcy also discovered that she enjoys giving back to her community by sharing her time and talents with the residents of the Lake City Care Center. Darcy states that the people there make me so happy. She feels valued and accepted there. Darcy’s family and support providers supported and encouraged her decision to try volunteering and she loves it! Like everyone, Darcy has not always made the best decisions for herself, but each time has learned from those mistakes. Her family and support providers respect Darcy’s right to make decisions for herself even if they don’t always agree with them. Darcy is empowered to live the life she chooses for herself by making informed choices and decisions. Great River Homes 2018 Spring Formal was well attended and enjoyed by all. The Twenty-Seventh Annual Great River Homes, Inc. 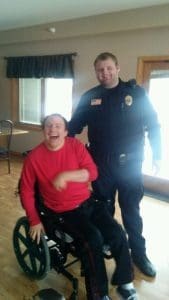 Benefit Golf Tournament and Dinner held on Friday, June 8, 2018 at The Jewel in Lake City, Minnesota was a success as a fundraiser to improve the lives of people with disabilities. The golf tournament activities included: a nine-hole best shot foursome tournament, golf contests, fundraising raffles, a live auction, and dinner provided by The Jewel. Great River Homes, Inc. had the annual fundraising event for the benefit of people receiving services from the agency. 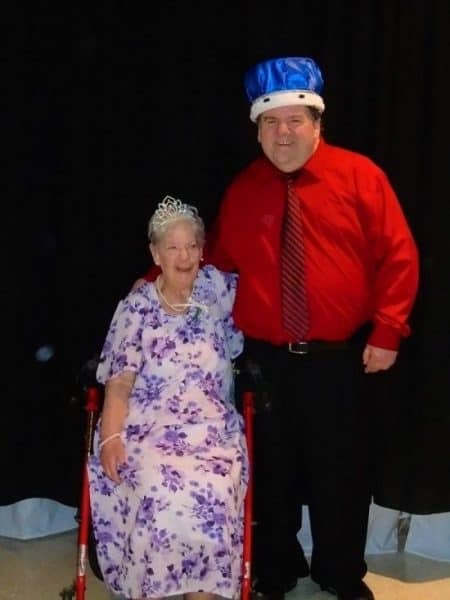 Great River Homes, Inc. is a non-profit organization that provides residential and in-home support services to 66 children and adults with disabilities in Wabasha County from 2–83 years of age. Volunteers and employees of Great River Homes, Inc. conducted the golf tournament with the help of Travis Heitman, Event Manager at The Jewel in Lake City. The Jewel served a ribs and chicken dinner. The golf course conditions were excellent and enjoyed by everyone. The weather was perfect. 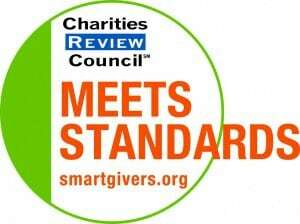 Thanks to the volunteer efforts of everyone, the proceeds will directly benefit people receiving services from Great River Homes, Inc.. Gifts were solicited by members of the Board of Directors of Great River Homes, Inc. and Great River Homes, Inc. staff. A highlight of the event was Jesse Litscher sharing his life story. Jesse receives services from Great River Homes, Inc. Jesse grew up in the Fountain City WI. Area He graduated from Cochrane-Fountain City High School. During this past year, Jesse moved to Wabasha, participated in the Grumpy Plunge to raise money for the Rotary Club of Wabasha and Great River Homes Inc., lobbied at the Capitol in St Paul as a self- advocate and was hired at the Eagles Nest coffee house in Wabasha. Special thanks to the co-sponsors of the tournament: All Creatures Veterinary Clinic, Ameriprise Financial-Dennis Bussian, CFP, ChFC, Bluff Country School Bus Service, Norm and Kathy Bussian, California Overland, Christensen Group Insurance, Fiesta Foods, Hartert’s Store, Inc./Hartert’s Building Solutions, Interstate Building Supply, Kennedy Snyder Drug, Lake City Federal Bank, Lakeshore Agency, Paul Busch Auto Center, Riverboat Lanes, Rotary Club of Wabasha, Scheel’s Super Valu, Schoen Family Dentistry, Springer Appraisals, Swan Jewelers, Wabasha Dentistry, Wabasha Discount Market and Ye Olde Butcher Shoppe. Abbott Funeral Home, Ackermann Total Eye Care, Ag Partners Coop, AmericInn of Lake City, AmericInn of Wabasha, Bank of Zumbrota, Ed and Pam Bauman, Bennett’s Food Center, Bennett & Sons Sand & Gravel, Bruce and Liz Carlstrom, Dairy Queen of Lake City, Danckwart Landscaping, Family Farms, Edward Jones Investments John and Steve Lang, Foresight Bank, Gallagher Benefit Services, Kathy Geraghty, Sandy Gerken, John and Darlene Gilcreast, Great River Homes Central Office Staff, Leigh and Joni Hartert, Richard and Ruth Hartert, Hills Hardware, Huettl’s Meats, Jerry Arens State Farm Insurance, J & J Barbecue, John Falvey State Farm Insurance, Kevin Passe Family, Kwik Trip, Lake City Golf Club, Lake City Graphic and Shopper, Lake City Lions Club, Lake Pepin Floral and Gift, Lake Pepin Golf Course, LARK Toys, Mahn Family Funeral Homes, Mall of America, Metro Sales, Minnesota Lynx, Minnesota Twins, Mount Frontenac Golf Course, Mutual of America, National Eagle Center, John and Sheila Nelson Family, On the River Boutique, Passe Electric, Troy Passe, Paul Flicek Insurance, Peoples State Bank, Perry Dental, Tom and Pat Peyla, Piper Hills Golf Course, Saint Elizabeth’s Medical Center, Schleicher Funeral Homes & Cremation Services, Schwalbe Construction, Silver Star Saloon, Slippery’s Bar and Restaurant, Chuck and Mary Kay Springer, St. Paul Saints Baseball Club, Steve Gentry Construction, The Bluffs at Coffee Mill Golf Course, The Jewel Golf Club, The Olde Triangle Pub, Tom Heffernan Ford, Turning Waters Bed, Breakfast & Brewery, Diana Turner, Treats & Treasures, Villa Bellezza, VFW Post 4086,W.A.K. Construction, Wabasha Rubbish Removal, Wabasha Warehouse Liquors, and Wild Wings. Great River Homes, Inc. extends its thanks to everyone for their support to benefit people with disabilities in Wabasha County. The Twenty-Seventh Annual Great River Homes, Inc. Benefit Golf Tournament and Dinner was held at The Jewel in Lake City on June 8, 2018. 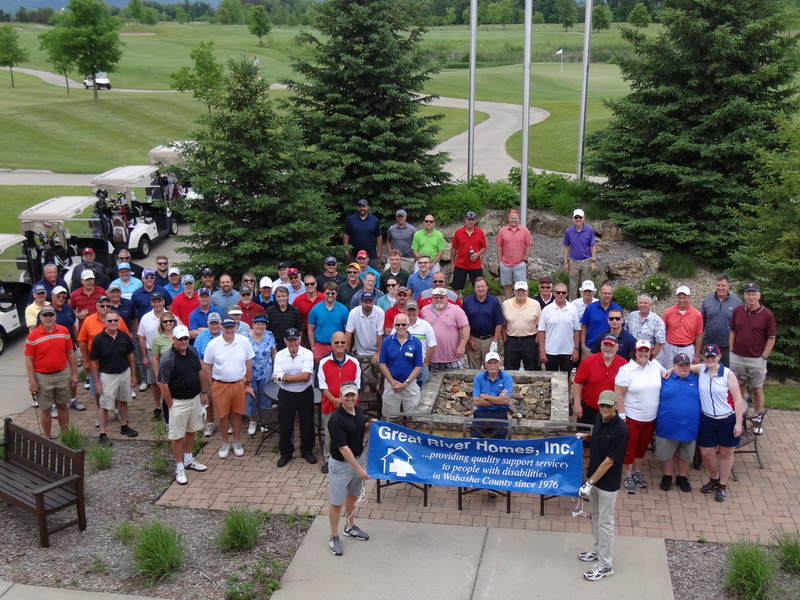 Shown above are the 80 golfers who participated in the fundraiser. 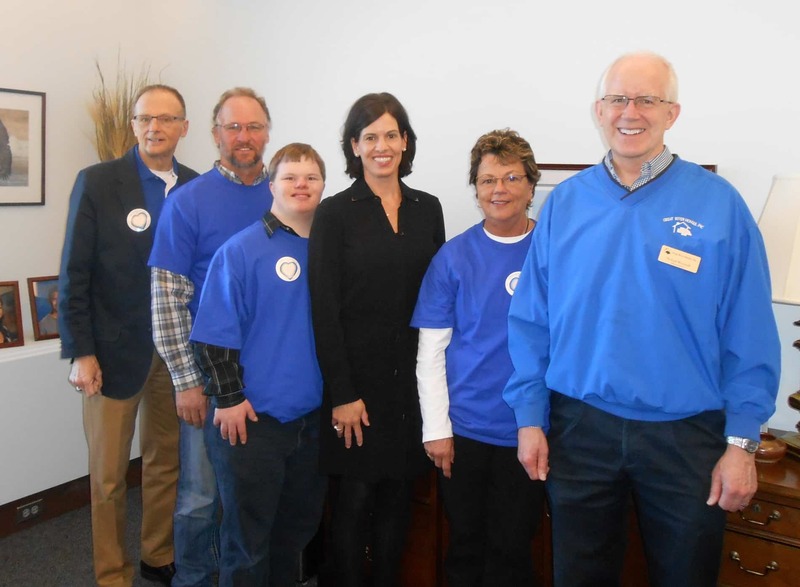 Representatives of Great River Homes, Inc. discussed legislative issues impacting persons with disabilities with Representative Barb Haley, of District 21A at the State Office Building in St. Paul. Pictured above to right are Dan Schaefer, Board Member, Jim Litscher, parent, Jesse Litscher, self-advocate, Representative Barb Haley, Julie Halverson, parent and Michael Weinandt, Administrator. Erin and Caron Lichtblau are the daughters of Lori who works with the ladies who live at Prairie Street. Erin and Caron are very busy young ladies, but found time to volunteer with Patricia who lives at Prairie Street. Patricia enjoys listening to stories read by Erin and Caron. Another favorite activity of Patricia’s is putting together puzzles. Patricia sometimes has difficulty putting the puzzle pieces together so Erin and Caron provide the physical assistance that she needs to complete the puzzles. Once they are done with a puzzle, Patricia always takes a picture to show family and friends. Erin and Caron have provided companionship and friendship to Patricia and are truly Good Neighbors! Riverboat Lanes of Wabasha received a Good Neighbor Award in recognition of their kindness and support shown to Great River Homes, Inc. Pictured above in the front are: Michelle Sexton and Jim O’Reilly of Riverboat Lanes. Bowlers in the back row are: Charlene Soteros, Jason Krusmark and Trevor Wingert. 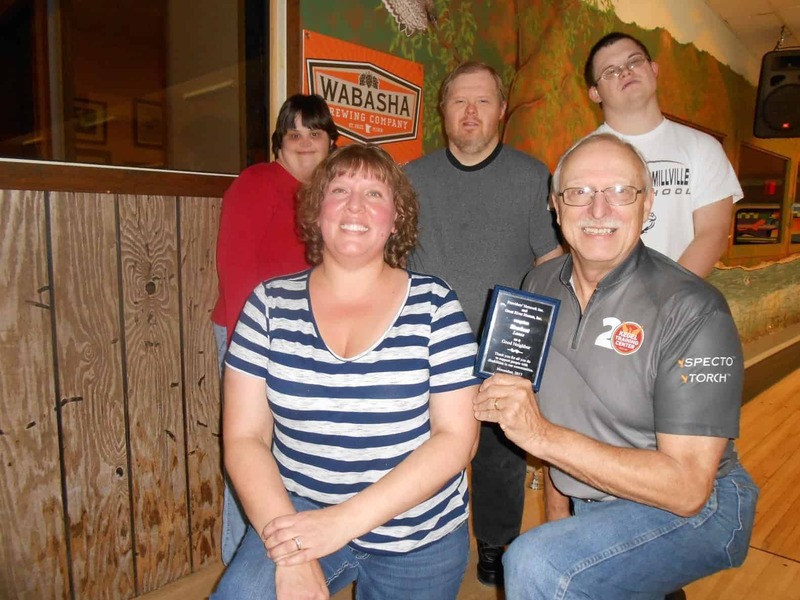 Riverboat Lanes of Wabasha was recognized by Great River Homes, Inc. as a Good Neighbor for the helpful and fun relationship they have with the people who bowl each week at Riverboat Lanes. The award was presented at the Providers’ Network Annual Good Neighbor Awards Banquet held at the Rochester International Event Center on November 8, 2017. Bowling is a popular activity in Wabasha. On any given Tuesday afternoon when you walk into Riverboat Lanes you will hear the sounds of bowling balls hitting pins, laughter and people having a great time. The employees of Riverboat Lanes do an amazing job with the people served by Great River Hones, Inc. They know them by name, know the soda they like, play their favorite music, and go above and beyond to ensure a great time. The employees at Riverboat Lanes go all out for the people served by Great River Homes, Inc. If a wheelchair ramp is needed, it is there. If bumpers on the lanes are needed, they are there. One of the employees gives bowling tips to improve scores, one of them visits and asks about their day. When one particular young woman with limited speech and hearing goes to the desk, the staff knows exactly how to set up the alley and what size shoes she needs, which helps her feel independent and valued. All of the employees of Riverboat Lanes seem to genuinely enjoy the people of Great River Homes, Inc.
Great River Homes, Inc. is a non-profit organization that has provided support services to people with disabilities in Wabasha County since 1976. 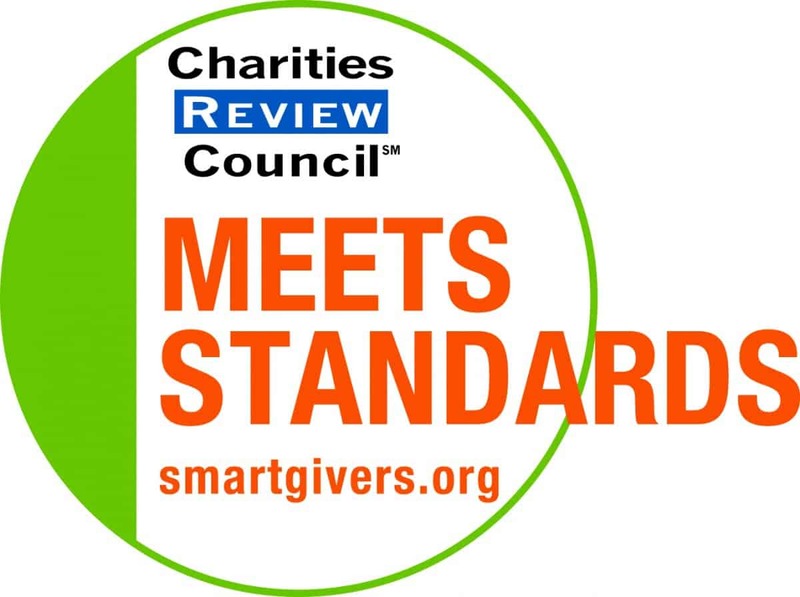 Providers’ Network is a group of community-based private service providers from southeastern Minnesota who serve people with disabilities whose purpose is to improve service quality through networking and training.